Xiaomi has announced it will start selling Mi Men’s Sports Shoes 2, Mi Sports Bluetooth Earphones, and Mi 2-in-1 USB Cable (30cm) in India beginning April 4. The Mi Men’s Sports Shoes 2 were originally launched last month in the country on the company’s crowdfunding platform, whereas Mi Sports Bluetooth Earphones and Mi 2-in-1 USB Cable are just being announced. Notably, Xiaomi already offers the Mi Sports Bluetooth Earphones Basic and Mi 2-in-1 USB Cable (100cm) in the country. Talking about the prices of the new Xiaomi devices, the Mi Men’s Sports Shoes 2 have been priced at Rs. 2,999 and will be offered in Black, Grey, and Blue colour options. The company is yet to reveal the prices of its Mi Sports Bluetooth Earphones and Mi 2-in-1 USB Cable (30cm). The prices of these two devices are likely to be similar to the Mi Sports Bluetooth Earphones Basic and Mi 2-in-1 USB Cable (100cm) price tags in the country. All three devices will be sold exclusively via Mi.com. The sales open at midnight. 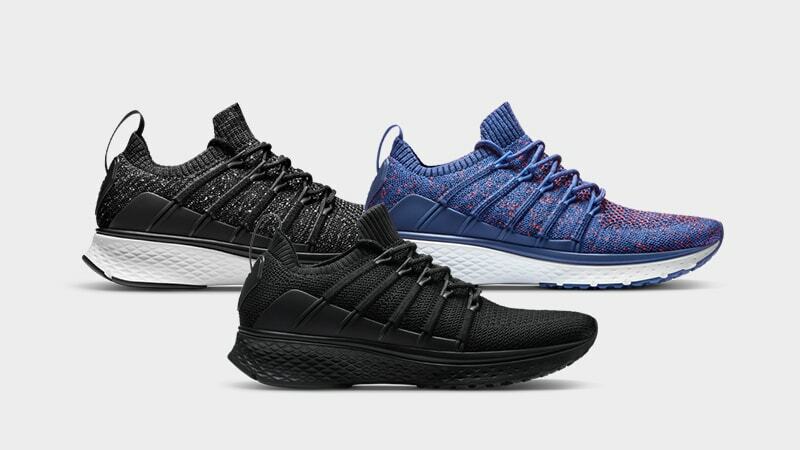 Talking about the features of the Mi Men’s Sports Shoes 2, these sports shoes from Xiaomi claim to be shock absorbent, slip resistant, and durable. There aren’t any smart features on board, but you will get synthetic rubber outsoles, vacuum press midsole, TPU midsole balancing patch, cushion patch, and a PU supporting layer. Xiaomi says that it has used a 5-in-1 uni-moulding technology to produce the Mi Men’s Sports Shoes 2. The company also notes that these sports shoes pack a 10-fishbone structure that allows comfortable cushioning and improves balance while offering the needed arch support. Further, the Mi Men’s Sports Shoes 2 are machine washable. The features of the Mi Sports Bluetooth Earphones are a mystery at this point, but it is likely that Xiaomi is bringing the Mi Sports Bluetooth Earphones mini as Mi Sports Bluetooth Earphones to the country. Mi Sports Bluetooth Earphones mini sport IPX4 rated water-resistant build with a TPU body and anti-slip slide. There is an in-line centred controller on board as well, which also packs a clip to lower the weight on user’s ears. Xiaomi says the Mi Sports Bluetooth Earphones mini can last up to 5 hours on a single charge. The earbuds come with ultra-thin PET speaker diaphragm that claims to provide good audio performance and impressive bass. There is Bluetooth 4.1 onboard as well. The Mi 2-in-1 USB cable (30cm) will be exactly same as the 100cm version currently on sale in the country, barring the cable size. The 100cm Mi 2-in-1 USB cable packs both USB Type-C and Micro-USB output ports. The input port is USB 2.0 (Type A). It supports Quick Charge fast charging up to 2.4A. The outer casing of the cable has made been made with TPE.